My husband and I follow Dave Ramsey’s Cash System. 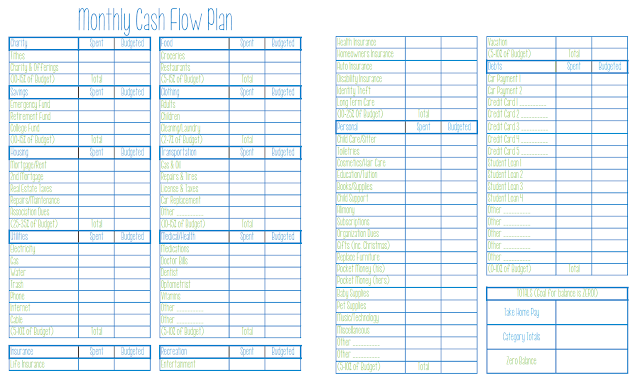 The basic concept is that you use cash for all (or most of) of your spending. It prevents you from over spending or going off budget. There are obviously categories of your budget that you can’t use cash for (or you can, but it’s vastly more inconvenient) such as Rent/Mortgage, Utilities, Bills, Fuel, etc. But I’ll show you the basic concept and what works for us. 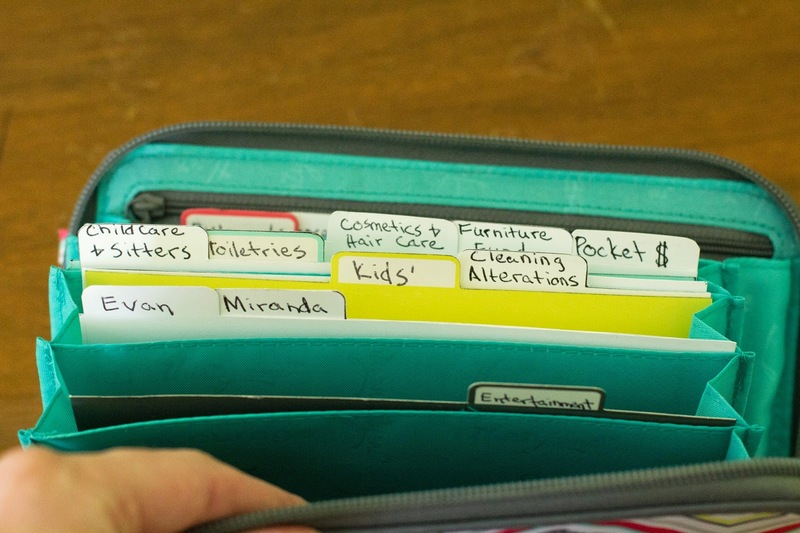 You can see all of these categories in my Envelope System except for “His Pocket Money” my husband keeps that with him in his wallet. We sit down the day before we get each paycheck and fill out our Budget Form. 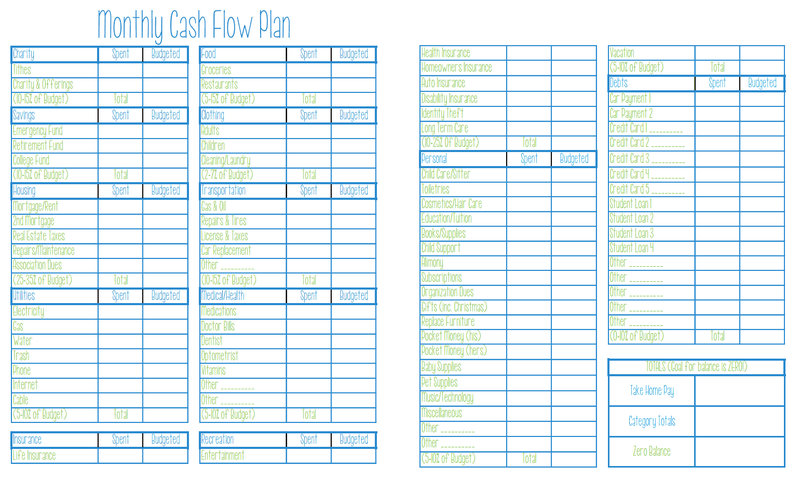 We decide what (and how much) the debit card will be used for and how much cash will be used. We only use our card for rent, utilities and gas. Then, the day we get paid, I go to the bank and withdraw the allotted amount of cash that we budgeted and divide it up into the categories. Once the money is gone for that category, it’s GONE!! If we don’t use all of the money from a category, it simply stays put and rolls over to the next month and it’s there for when we do need it. Thanks for sharing! Where did you get that wallet? 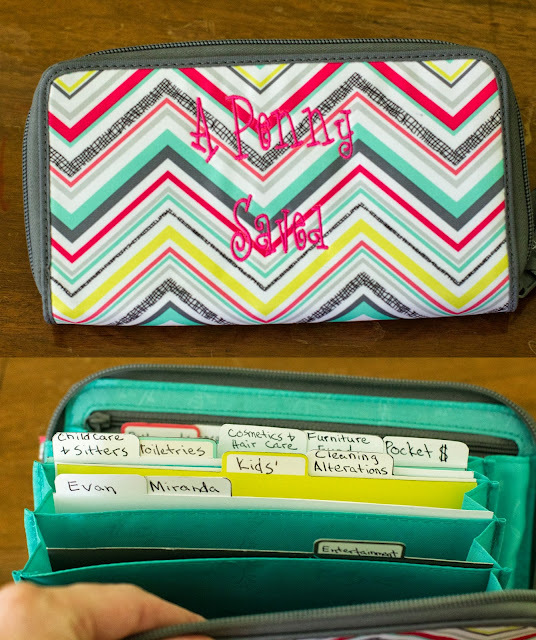 I need something to hold the money in better than actual envelopes in my purse! 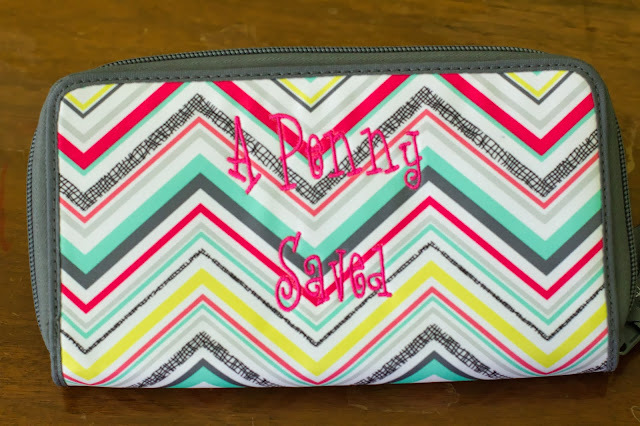 It s a retired coupon clutch from the Thirty-one company. If you go on ebay you can still find them.